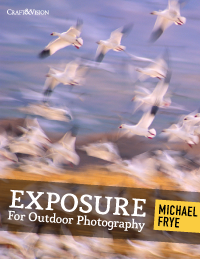 Review of new ebook Exposure for Outdoor Photography by Michael Frye, a Craft and Vision publication. This book is for anyone that wants a better grasp on shooting in Manual mode and understanding all the controls and how to use them. He goes over how to get the best exposure for the scene using different options and choosing the best for each situation.